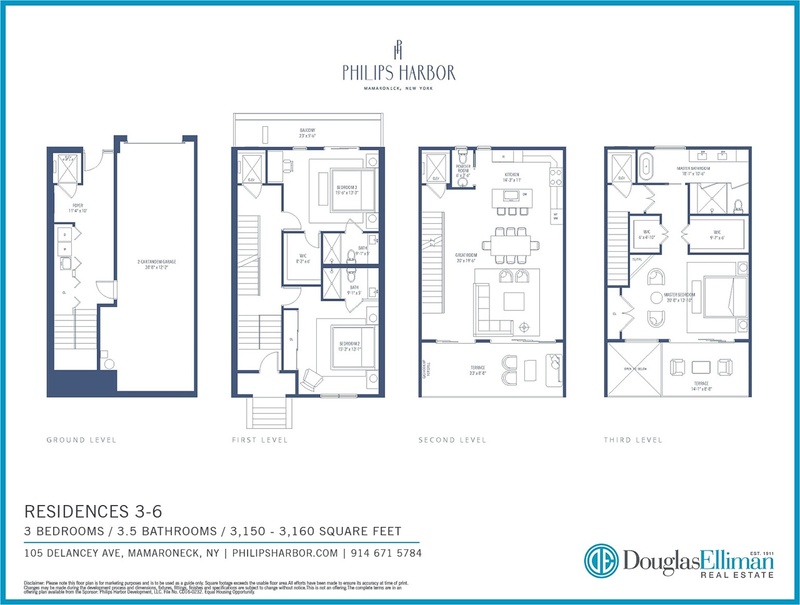 All seven residences at Philips Harbor are designed with open, flow-through floor plans, each with three bedrooms and three and one half bathrooms. 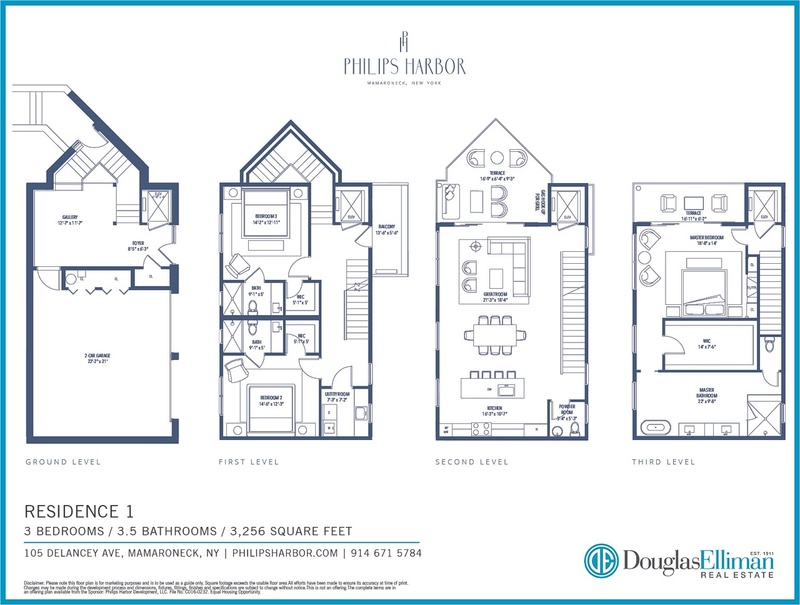 Each residence revels in its breathtaking park setting with floor-to-ceiling windows that provide endless views of Long Island Sound and oversized private terraces with transparent railings. All interiors are the height of contemporary luxury, from the 7.5 inch wide European White Oak plank flooring, glass enclosed Oak stairs to spacious walk-in-closets and private elevators. Open concept gourmet kitchens with custom Italian-style cabinetry, Quartz countertops, backsplash and island, and incorporated state-of-the-art appliances. Full floor elegantly designed master suite complete with fireplace and porcelain silver travertine filled master bathroom with steam shower, radiant heating, sculptural free-standing soaking tub and private commode. Each home is pre-wired for high speed internet, tv and media distribution. Please contact our sales center for more information on appliance packages, finishes, closet systems, and other specifications. 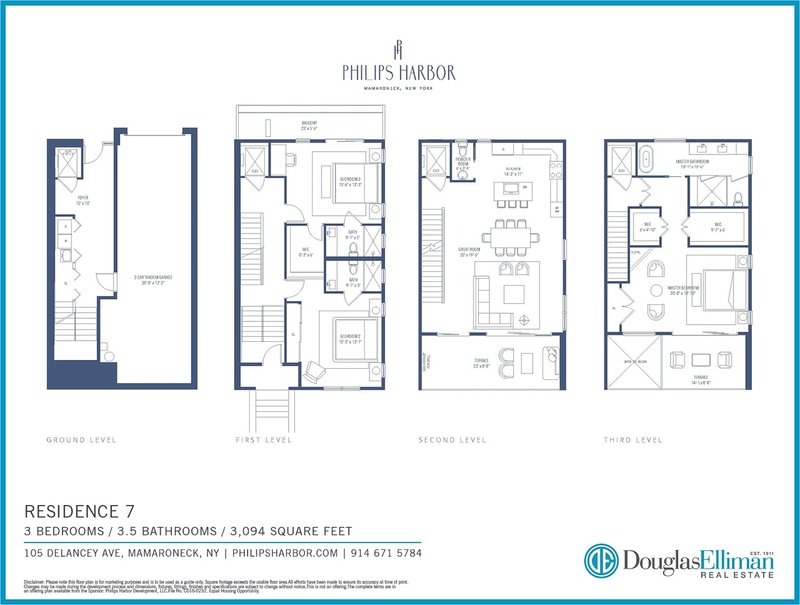 Disclaimer: Please note this floor plan is for marketing purposes and is to be used as a guide only. 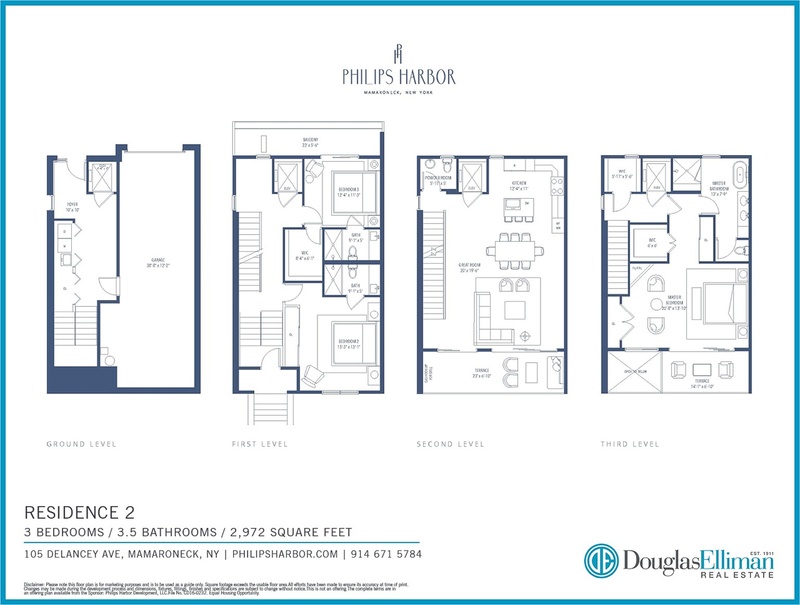 Square footage exceeds the usable floor area. All efforts have been made to ensure its accuracy. Changes may be made during the development process and dimensions, fixtures, fittings, finishes and specifications are subject to change without notice.